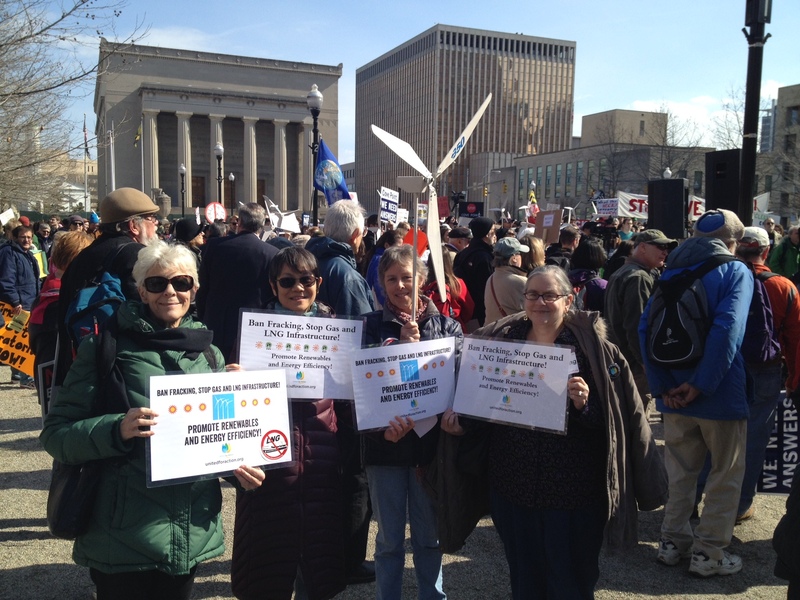 Today, February 20th, on a beautiful sunny day, hundreds of people came from all across Maryland, Pennsylvania, West Virginia, New York, New Jersey to gather at the War Memorial Plaza in downtown Baltimore, Maryland to protest Dominion Energy’s application to build the first liquefied natural gas (LNG) export terminal on the East Coast to export over one billion cubic feet of carbon-emitting fracked natural gas per day to Asia. Among the many speakers I was really moved by Lois Gibbs who led the fight at Love Canal. Lois said something like that facts were good but facts were not enough. We need to be constantly in their face. We need to tweet at Governor O’Malley and our legislature every morning and every evening. We marched and chanted around the block passing the building where the Maryland Public Service Commission began the process to review an essential permit that Dominion Energy needs to build the LNG export terminal. This is the same building that houses Maryland Governor O’Malley’s Baltimore office. It felt really good to stand in solidarity with people from many states to show that we care and we do not want the fossil fuel industry to ruin our water, our air, health and lives. We can not allow any more LNG terminal to be built, not by Dominion Energy at Cove Point, Maryland, and not by Liberty Natural Gas off Jones Beach at the entrance to the New York Harbor. We are all in this fight together.